Can this finally solve our traffic problem? 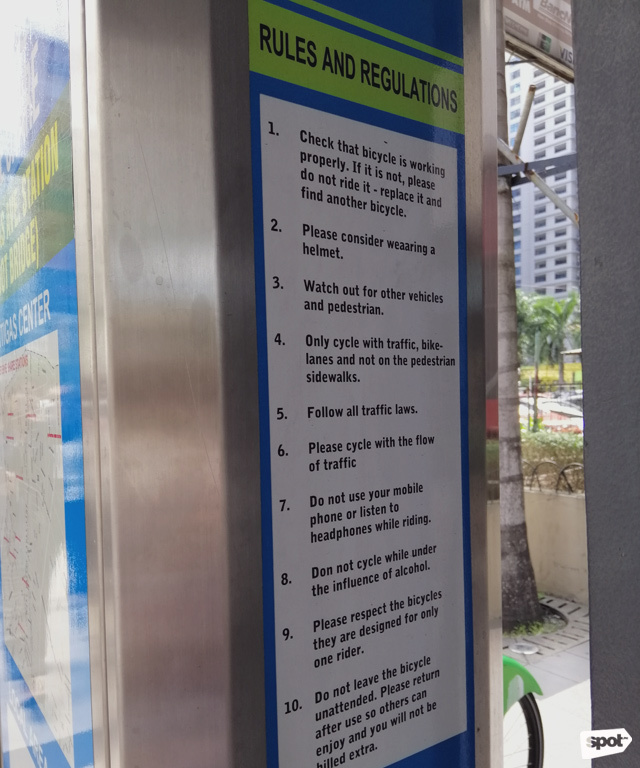 There have been many proposals to solve the crippling traffic in Metro Manila: From building a subway system to banning "driver-only" cars along EDSA. Some think turning motorcycles into a legal mode of public transportation can help alleviate the terrible traffic, while others have long accepted that it's a hopeless case. But there is one possible solution that seems to never get the traction it needs: Commuter cycling. 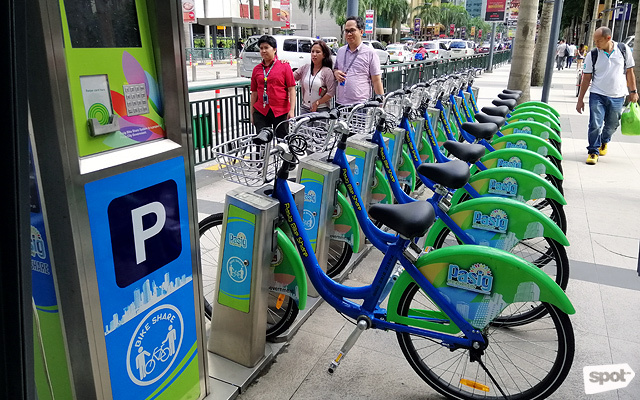 In 2013, the Metro Manila Development Authority made a few bikes available for free rental along EDSA in the hopes that it would encourage more commuters to try biking along the main thoroughfare and eventually decrease car traffic. There were bike lanes introduced, but they were short in distance and narrow in width. The bikes were sparse and were simply hung on walls. Eventually, the bikes disappeared and the lanes were forgotten. But Pasig City is not losing hope. 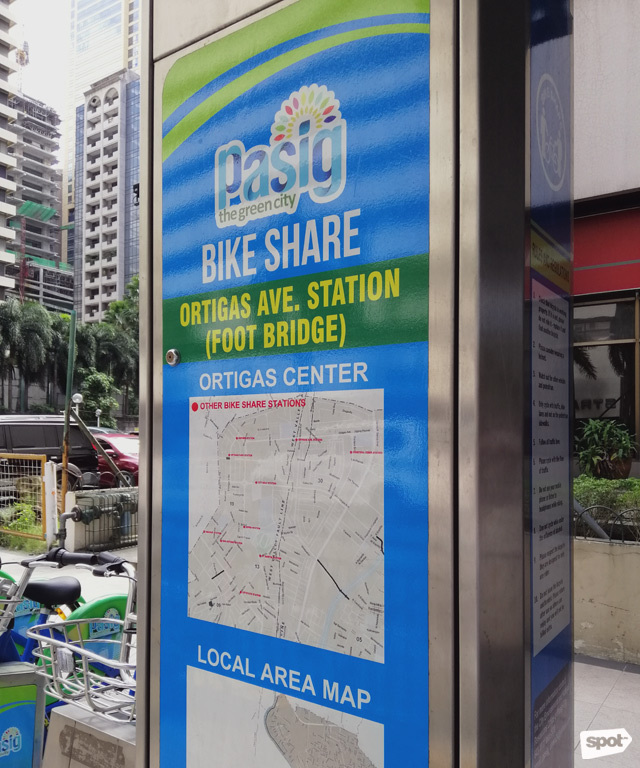 On March 18, the local city government soft-launched its bike-sharing facility: A network of eight bike stations spread within the Pasig border of Ortigas Center. You can now rent a bike—and avoid the traffic—in Pasig City. Ortigas Avenue Station, located in front of Padilla Building, is just one of the 10 bike stations. 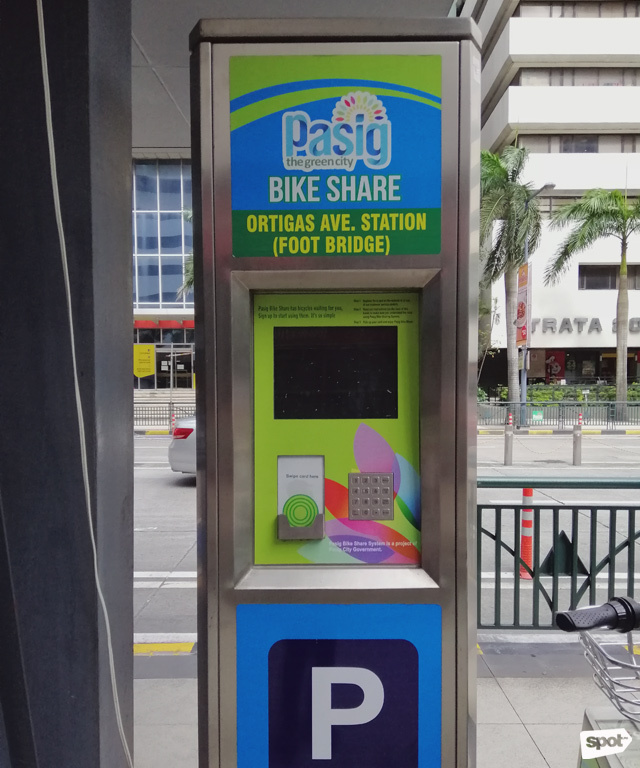 The stations are usually located in front of buildings that serve as "hosts." 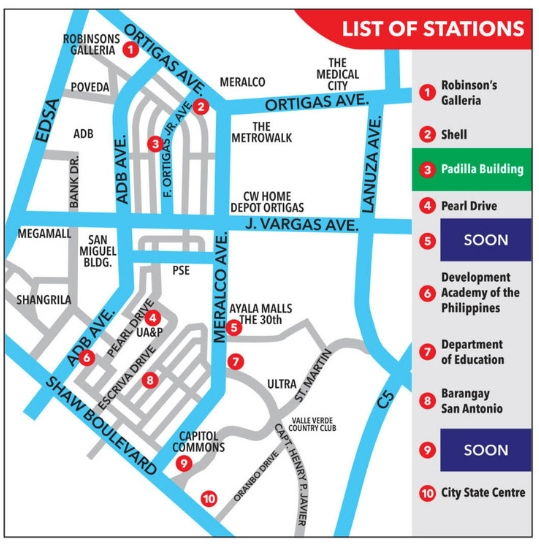 Based on the initial line-up of stations, each biker can go from Robinsons Galleria along Ortigas Avenue to as far as City State Center Condominium on Shaw Boulevard, which is right beside Ynares Center. As of writing, 100 bikes are available for rent. Each station is equipped with 10 bikes parked in security-protected docks that anyone with an access card can rent for free. According to Barangay San Antonio Captain Thomas Raymond Lising, users may ride each bike for an hour before it is expected to be parked at the next station, to ensure the facility is fully maximized by all access-card holders. The scheme is also a way to protect the bikes and deter anyone from stealing them. Each station has security-protected docks, which you can access with a card. Cyclists are reminded to wear helmets and follow traffic rules while riding a bike. According to Lising, the first 100 access cards are going to be deployed by the first week of April. 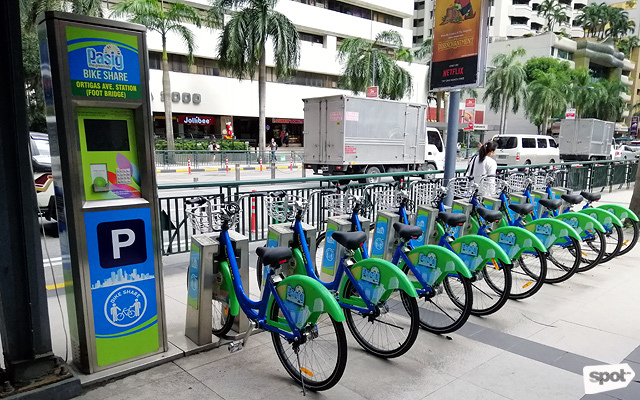 Sign-ups have been ongoing since 2018, but the launch of the bike sharing facility had been delayed by the local city government for more careful planning of its deployment and operations. In the next deployment of access cards, however, anyone, even non-Pasig residents, can sign up and utilize the bikes for free. You can refer to the map and find out where the next bike station is. 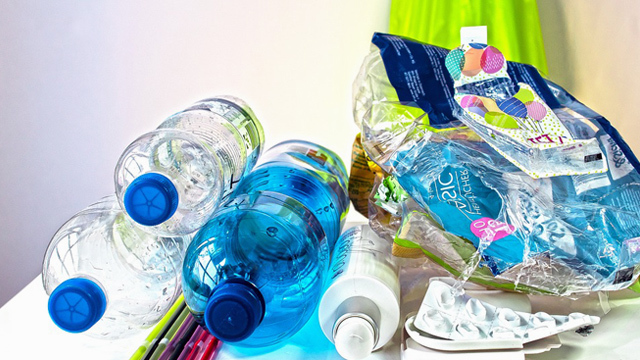 "The City of Pasig has a population of around 700,000 people. 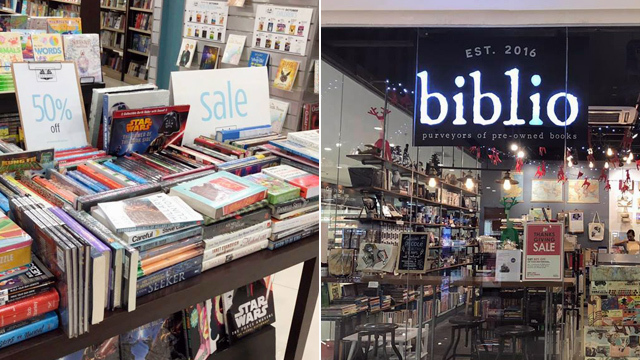 But due to the number of people that come in during the day, students and employees that attend schools and offices in Ortigas, that (number) rises to 900,000. It's only logical to make the facility available to even non-residents. That's the market," he said. But even long before the bike stations were launched, Pasig City was already one of the most-bike friendly cities in Metro Manila. Their streets have dedicated bike lanes, some even protected by plastic cones. According to a post by Pasig Transport, bike lanes in the city are already at 40 kilometers, and it now plans to extend them to 150. 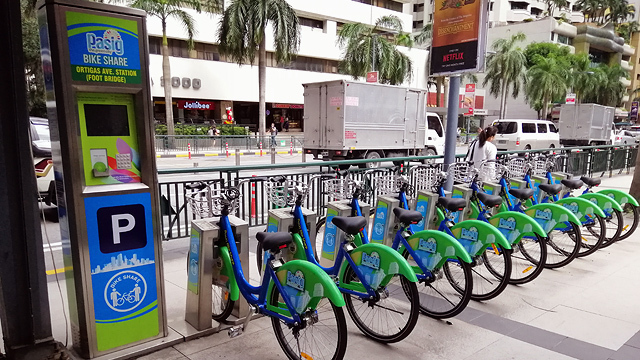 Several bike-sharing initiatives have been introduced before in different parts of Metro Manila, but nothing as extensive and as budget-heavy has been deployed as the one in Pasig. If this bike-sharing system becomes a success, it may be what the country needs to finally pursue and develop a transformative biking culture.